How often do front-end developers get annoyed that a REST call did not deliver all the required data? Even back-end developers are asked by colleagues to add another property to a response if it was missing. Fortunately, thanks to GraphQL, these problems are a thing of the past. While REST defines predetermined structures for the return of a call, GraphQL only returns the data that is desired in the front-end. The so-called over- and under fetching is avoided, because calling the interface not only names the desired executed method, but it also names the desired return structures. Query – read accesses to data. Mutation – write access to data. The structure of a mutation within the schema corresponds to that of a query, but begins with the word “mutation”. Inline Fragments – object trees can be clearly structured and reused in other queries, for example. Duplicate Code is thus avoided. Type and InputType – objects and their properties are firmly defined in the schema. This info is known to the client and server, which means that a validation can be used directly when the server is started and a request is executed. Scalar – objects such as date values (DateTime) can be added to the GraphQL native elements such as String, Int, and Boolean and used directly as data types. Argument/Variable – when passing server requests, arguments can be written directly into the request or passed as separate variables. Directive – the desired return structures can be filtered by the conditional operators if and skip. 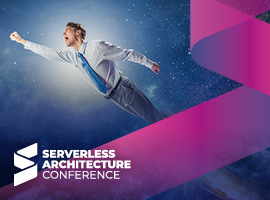 Modern developments in microservices and serverless architectures make it possible to create highly scalable systems. Combining this advantage with GraphQL for networkload optimized APIs, results in highly optimized, data-driven systems. 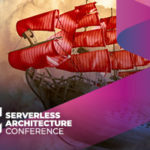 The article gives a first insight into GraphQL, and a special focus on the interaction with AWS Lambda as a representative of serverless architectures. What does the call of a GraphQL server look like exactly? The client creates a JSON request with the elements query and variables. The content of the query object is a string that contains the name-giving graph query language as a value. Normal JSON objects of any complexity are passed as variables. This request is sent to the server via a classic POST request. The endpoint is, for example, /graphql. Listing 1 shows a server request including parameters. The example could now be expanded at will, for example by the birthday of the customer, his order IDs or the last log-in. Anything is possible as long as the properties within GraphQL are defined as returns. This is done by Schema (Listing 2). It contains all operations and object structures with which GraphQL shall work (Box: “Important GraphQL schema terms”). After a query has been processed on the server, the response is returned. The response is also a JSON format, and can be read and processed by existing client implementations (Listing 3). After getting to know the basic usage of a GraphQL server, we now move on to the concrete implementation. An AWS serverless (Lambda) function with a connection to a NoSQL database will be created in the following. Choosing the programming language must come first, since AWS supports programming languages like Node.js, Python and Java. For the following example, Java 8 is used in conjunction with AWS’ own NoSQL database DynamoDB. In that regard it’s sufficient to create a Maven project with the following AWS and GraphQL dependencies (Listing 4). After the query has been passed to GraphQL, the method to be called is parsed and determined. Furthermore, the transferred parameters are automatically validated and converted into the corresponding Java objects. Thus, the GraphQL service has done its duty at this point. Now all the desired Java functionality can be executed in a well known shape. Listing 5 connects to a DynamoDB table and reads a customer object. The idiosyncrasy here is this: If the Lambda function and the created DynamoDB table are operated in an AWS account, it’s sufficient to specify the AWS region and the table name as connection parameters. When working with DynamoDB objects, you can of course proceed in the usual POJO manner (Listing 6). For this AWS offers JPA based annotations which convert return values into Java objects when communicating with the database. As soon as the processing of the request is completed, the results are passed directly to the executing GraphQL service. This is where the added value of GraphQL comes into its own. Remember that the request only requested the customer’s ID, name, and orders. The customer object on the other hand contains additional properties. If this object is passed, the GraphQL service removes the unwanted properties and ignores structures so that only the requested elements are delivered to the client. I want to briefly point out write inquiries (Mutations). These run according to the same scheme as queries and are identified in the query only by the keyword “mutation”. Function enhancements only require three updates in GraphQL. Table 1 shows the example request and the return data. The table clearly shows that the structure of a mutation is very similar to that of a query. One small detail is still missing in order to run the Lamba function within AWS. The Maven project must be compiled as a so-called Fat-JAR. Maven offers the possibility to work with the Shade plug-in. This bundles all required dependencies into a single, AWS deployable, artifact. With the execution of mvn clean package, the artifact is now created and can be uploaded to AWS. Lambda is now operational. In order to work with a client such as Angular, it only needs to be connected to the Internet via an API gateway and assigned the appropriate roles and rights. Here, I like to point to the very detailed AWS documentation for creating an API gateway with proxy integration to Lambda. The example shown is a good starting point for using GraphQL in Java. 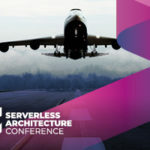 Furthermore, the implementation within a serverless application guarantees a highly scalable use. Multiple methods can be bundled in a single request in GraphQL. Additionally, there are already existing libraries that allow for a seamless integration of a GraphQL interface with Spring Boot, as well as various implementations for Angular, Node.js and Python, among others. This guarantees a seamless use in server and client applications. Due to its design, GraphQL can be easily integrated into existing architectures. Since it’s only a wrapper between the requested data and business logic, it’s easy to connect known databases like MySQL and Oracle via JPA. Thanks to this flexibility, it can be very well integrated alongside existing REST APIs to guarantee highly optimized requests to backend services. I would recommend two more links to the inclined reader: The first one is the demonstration code that accompanied the article on GitHub. The second recommended link is the GraphQL homepage, featuring many more ideas regarding the use of GraphQL are pointed out. 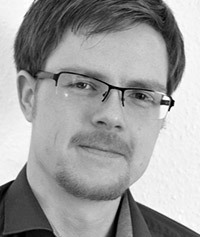 Michael Dähnert is a Senior Solutions Architect at Sopra Steria Consulting. He has been working on various IT projects for over ten years. His special tasks include evaluating, optimizing, and redesigning IT architectures.